Georges Cafe Piccadilly joined our Mission to help provide access to “Clean Water for All by 2030”. This Mission was initiated by the United Nations. A big thank you to Georges Cafe Piccadilly’s team and customers for joining this extremely important mission on 16 April 2018. Georges Piccadilly offers a convenient Mediterranean dining experience in the heart of the city. 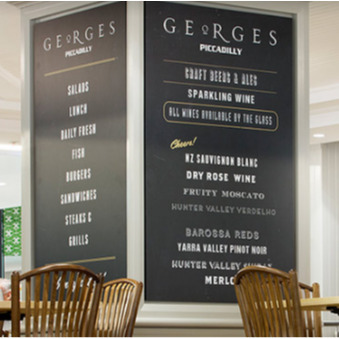 Georges is located on Pitt Street within a shopping centre called Piccadilly. This cafe offers customers a haven away from the city rush. With fantastic Mediterranean cuisine, this fully licensed Cafe Bar is ideal as a pre-theatre venue or to dine during a busy shopping day. Operating for breakfast, lunch and dinner, a quick leisurely meal before, during or after work is also convenient for locals.